In Independence County, we don’t hope for better times, we are creating them. 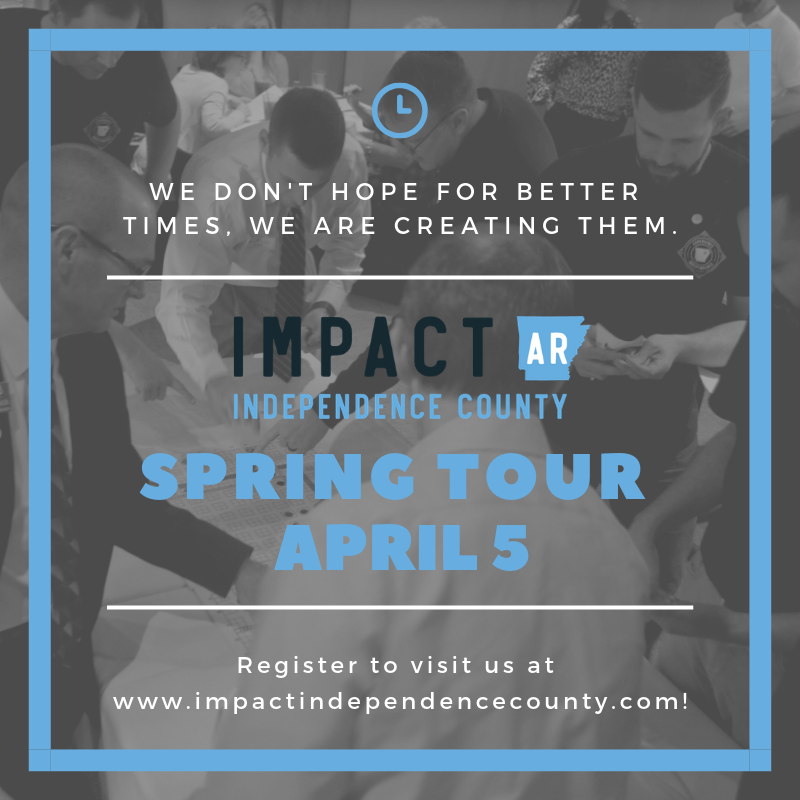 Our seasonal community tours are the best way to learn about North-Central Arkansas and the changes that have taken place in Independence County - a rural Arkansas community, which has taken its future into its own hands. Community tours are offered four times this year in an effort to provide visitors with a hands-on way to explore the region’s diversity and learn about community development strategies and activities that have built the current culture while honoring the traditions of the oldest city in the state. Community tours can be customized through the online registration process for a broad look or deep dive and consequently, are led by a variety of community leaders involved directly in the areas of interest. For specific questions regarding tours, please call 870-793-2378 or e-mail Jamie Rayford.